This is page is currently under construction, and is not a final working copy. But still a lot of fun to look at while we fiddle with what goes where! This is a very rough guide, and is not a guarantee of features. 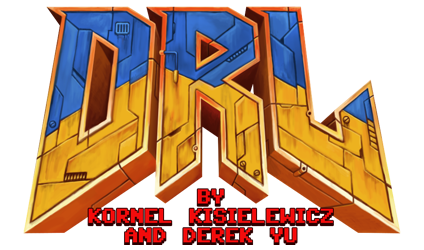 But it’s a good outline of what the DRL Design Team (okay, it’s pretty much just Kornel) is looking at for the future. And to get in the mood, it’s all ASCII!